The path to your child's successful future involves a lot of work for both you and them. Children have to apply themselves at school, keep their minds focused on goals and work to make them a reality. The adults in every child's life have to model good behavior, enable good study and life habits and offer motivational tools to keep the young ones in their lives on the path to greatness. 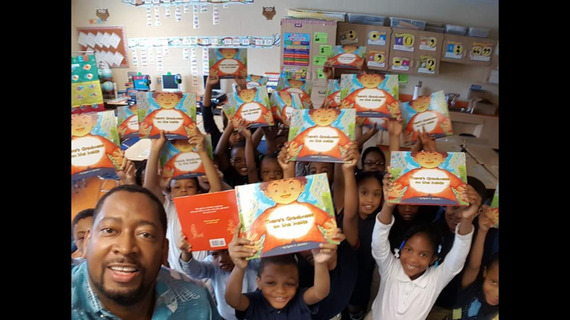 I've spent countless hours in front of parents, teachers and education leaders trying to instill some important lessons of empowerment and encouragement and I've already written the book about how to show children that there is greatness on the inside of us all. Reading and reading comprehension are among the most important skills we can instill in our children so I thought I would offer my tips on how to make sure you're giving your young people the right reading material. Put Yourself in Your Child's Shoes. The children's section of the library or bookstore can be overwhelming, so never hesitate to ask the bookseller or librarian what age range your child is and ask if there are books about things your child loves. If the young person loves big trucks or ice cream, find 3-5 books about those topics for their age range. Thumb through them and pretend that you're the child for whom you're shopping: would I enjoy this book? Is this a topic they're interested in? The theory is that there is a book out there for everyone, so please don't feel the need to settle. Your child needs to feel a connection with the book and should be excited to read it, understand it and be able to tell you all about it. We know that you shouldn't judge a book by its cover, but the truth is if the drawings on the cover or title aren't going to draw your child in, it might be a significant undertaking to get them to make it through the book. Do some research. There's no need to re-invent the wheel: there are plenty of resources out there to help you make a great book choice. Just searching for "best books about magicians for young children" brings thousands of results. With so many children's books out there, of course, means there are also a few reviews of children's books, so checking out sites like Amazon to see what other people think is always a good idea. The American Library Association has many book recommendations, as does the Reading Rockets Project, the Association for Library Service to Children's Children Book Review and Story Snoops reading blog all have great recommendations. Take A Similar Journey. If your child is reading a book about the solar system, you might want to try reading a similar fantasy or science fiction book. Learning is a life-long endeavor, and it's important to show kids that their interests in reading can and should stay with them for the rest of their lives. The key to reading comprehension is not just understanding, but being able to express curiosity about what you're reading. The way to make this a reality is to engage in actual conversation with your child about their books and to maintain a dialogue. If they can identify themes in life that mirror the themes they're reading about, critical thinking skills will bloom and grow for years to come. I know better than anyone that if you want children to read, they have to know that it will bring them something. Don't think that your child can read just anything, you want them armed with material that will help them become better people and future leaders. You can help them make good choices in books and in other areas, so get informed and keep the young people in your life reading. And in the words of the late Dr. Maya Angelou, "any book that helps a child to form a habit of reading, to make reading one of his deep and continuing needs, is good for him."